In addition to adult hearing loss and hearing devices, Happy Ears Hearing Center specializes in pediatric hearing loss and pediatric hearing aid fittings. If hearing aids are recommended for your child, it is important to know the options you have with different hearing aid manufacturers. There are many different shapes, sizes, and colors when it comes to hearing aids as well as different functions and costs. Selecting the right hearing instrument for your child requires help from an experienced and qualified pediatric audiologist. Selecting a hearing aid can be overwhelming, but it can also be fun for your child. 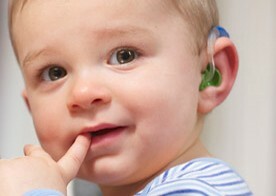 Some of our favorite pediatric hearing aid manufacturers are listed below. For more specific information regarding different brands or hearing aid options, call Happy Ears Hearing Center to determine which option would work best for your child’s hearing loss.